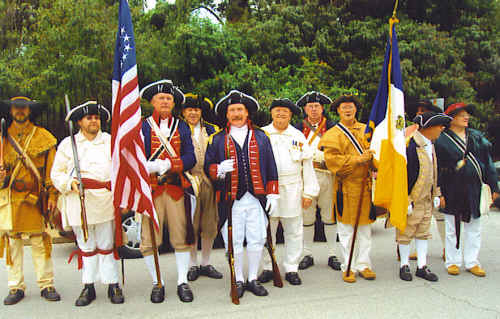 The MOSSAR Color Guard Team participated with the Missouri DAR and John Guild DAR Chapter on Sunday, September 20th, 2009, in unveiling of a bronze marker placed at the entrance of the former Ste. Genevieve Academy. The Academy is the site of the first school started by the government west of the Mississippi River and opened in 1808. This event completes a five-year attempt, made possible by the current owner, Frank Rolfe. 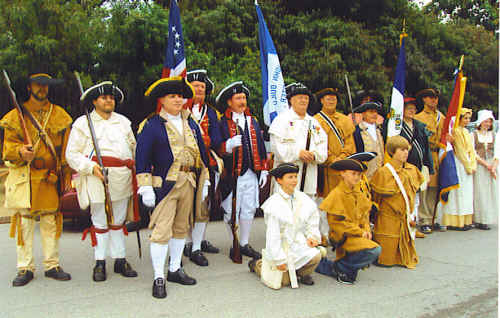 The Allen Laws Oliver SAR Chapter from Cape Girardeau, MO; Fernando de Leyba Chapter from St. Charles, MO; and Spirit of St. Louis Chapter from St. Louis, MO attended in attire from the Revolutionary Era.